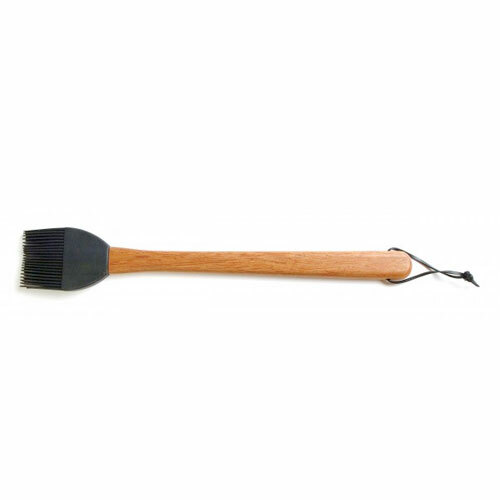 Basting Brush | Patio and Hearth Co. This beautiful rosewood-handled basting brush is perfect for adding flavorful sauces to foods as they grill. Its long handle allows you to reach foods on the grill from a comfortable distance, while the over-sized silicone bristles holds sauce well. The silicone brush head is also detachable and easy to clean. The brush head is heat-safe up to 550ºF. A convenient leather loop lets you hang your brush within easy reach. Inquire about Basting Brush using the form below.